Objective: Create a package design for a fictional company. 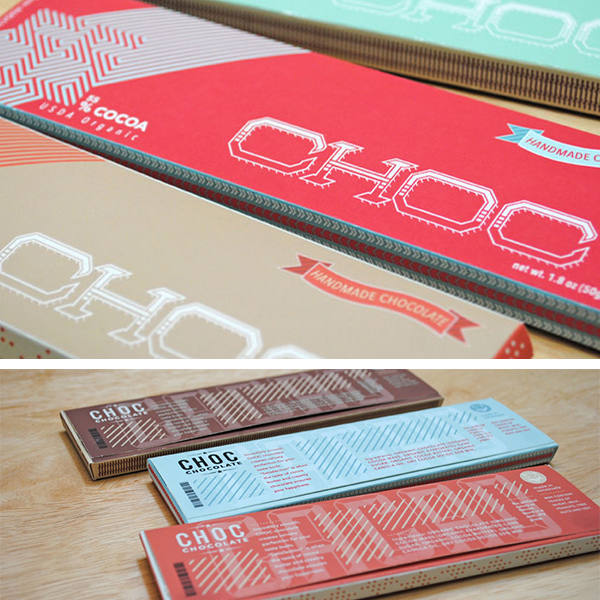 Solution: In an effort to explore other graphical styles, I decided to design packaging for a fictional, organic chocolate bar company (CHOC Chocolate). Objective: Design a publication around any 10,000 word text. I chose a lyrical analysis of Bruce Springsteen's early hit albums as my publication's copy. Solution: I designed the publication as a collector's item that Bruce Springsteen fanatics could have as a keepsake or display as a coffee table book. 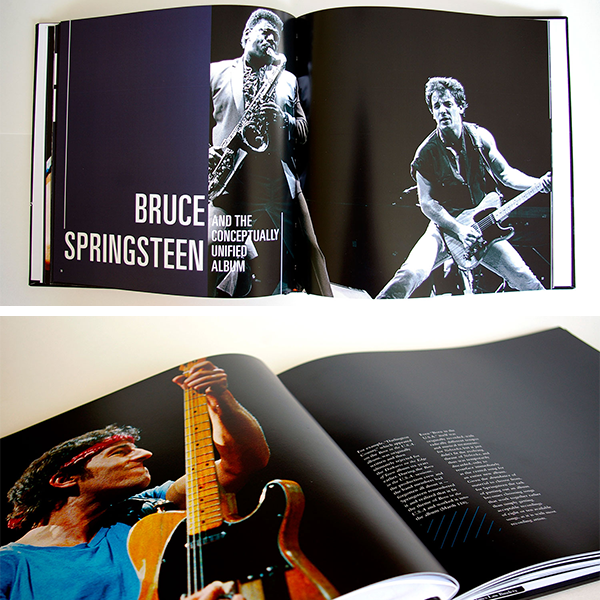 This is a hardcover bound publication that measures 12" x 12" x 0.5" – perfect for a decorative display or on a shelf alongside some Springsteen records. This design targets fans of the Boss who want large, colorful images of the singer-songwriter and quality lyrical analyses to accompany his music. 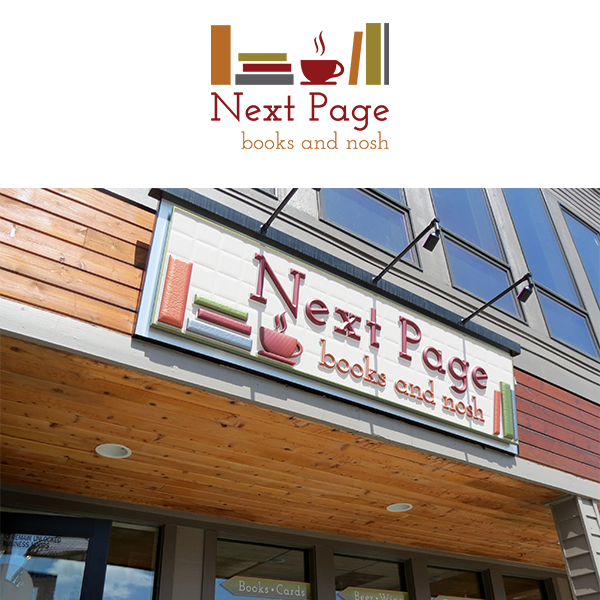 Objective: The Next Page Bookstore in Frisco, Colorado was in need of a brand refresh, starting with their logo. Solution: The owners of the Next Page Bookstore wanted to establish the bookstore as a fun, relaving place to read, eat, and drink. The logo design (above) had to be tweaked to meet the new signage requirements (below). The original logo is printed on The Next Page's t-shirts, hats, and other merchandise found in the store.